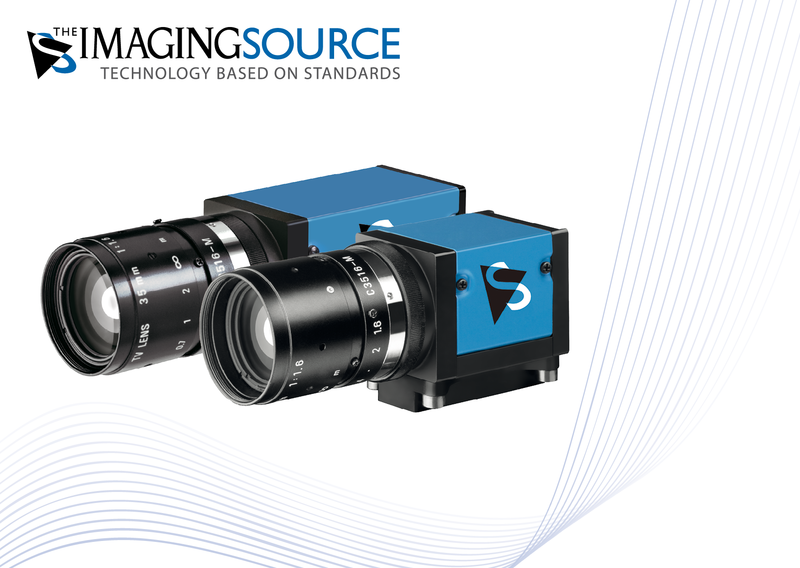 ⋯ (October 16, 2015) - The Imaging Source, an international manufacturer of machine vision cameras, has just announced the immediate availability of new industrial cameras with the Sony Full HD WDR Sensor IMX174. These cameras stand out with their exceptional imaging quality and high light sensitivity with which images of even weak fluorescing substances can be captured. Cameras are delivered in compact, robust industrial housing with C/CS- or S-Mount and are available as GigE (PoE) and USB 3 versions in monochrome and color. At full HD, these cameras achieve a maximum frame rate of 54 fps; at VGA resolution up to 120 fps. Included in the purchase of the camera is a barcode SDK and software for on-screen measurement and image capture. With integrated HDR/WDR (High/Wide Dynamic Range) and a resolution from VGA to full HD, the cameras are especially suited to demanding applications in microscopy, production automation, quality assurance, logistics, medicine, science and security. Comprehensive software support for Windows and Linux leaves nothing to be desired: Both programmers and end-users immediately feel at home. Getting started with the cameras takes only a matter of minutes and integrating them into existing applications takes only a few lines of code. All cameras are shipped with drivers for LabView, HALCON, MERLIC, VisionPro, DirectX, Twain, and NeuroCheck. All camera parameters and settings can be set via the shipped software. End-user applications, an SDK consisting of .NET and ActiveX components and a C++ class library for W7/8, Vista and XP, and drivers for third party software are included with the cameras. In addition to this, powerful automatic modes ensure optimal image quality even under varying lighting conditions. The cameras are shipped with: Driver for Windows XP, Vista, W7/8, and the SDK IC Imaging Control 3.2 (.NET and C++ library) and IC Capture. IC Capture is a powerful end-user software to set all camera parameters and to display and save single images and image sequences.